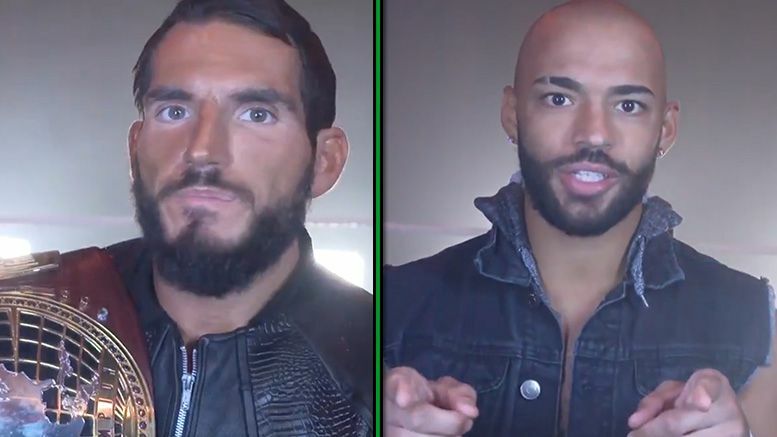 NXT released promos on Saturday from Johnny Gargano and Ricochet to hype tomorrow’s return of Halftime Heat. As we previously reported, the WWE special will air during halftime of the Super Bowl. The last one took place 20 years ago, which Gargano reflected on in his promo. As for Ricochet, the “One and Only” says to tune in to the halftime event because he’ll do things some people don’t think is possible. Halftime Heat will air on WWE Network, WWE.com, YouTube, Facebook and Twitter.